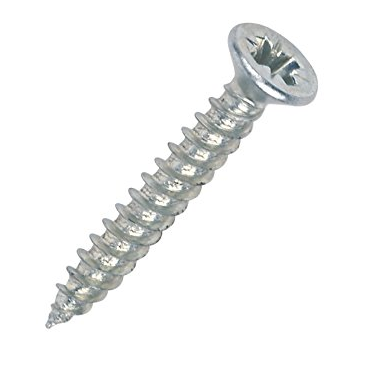 Over the past 30 years or so, the screw market in the UK has changed to favour single-thread screws, initially only used on the European continent, due to being more suitable for use in chipboard and other less dense materials. 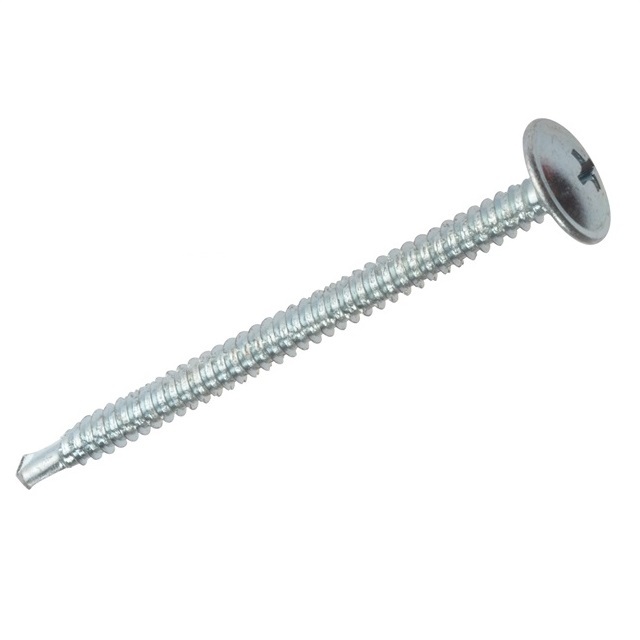 Tradefix Direct offers a good selection of single thread wood screws, whether you are on a tight budget or after high quality no nonsense screws, we have the range for you. 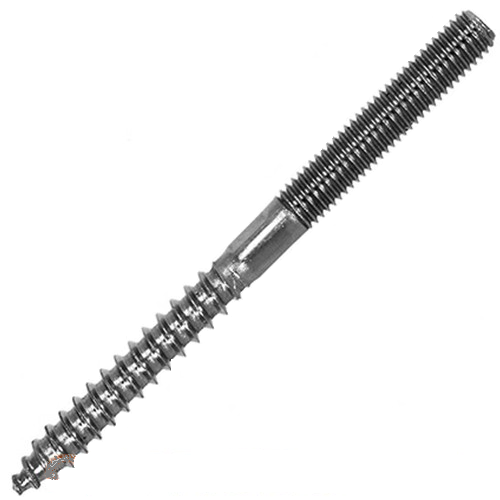 We also offer the more traditional twin thread screws if these are your preferred option. 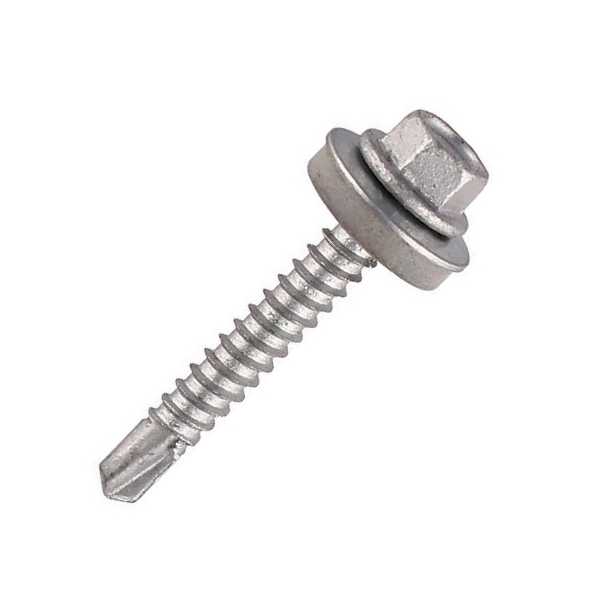 You will find that the sizes for the single thread screws are given in metric and the twinthread screws are given in imperial. This is because single thread screws originate from Europe, which only use the metric system, and the twinthread screws were used in the UK, which used the imperial system. 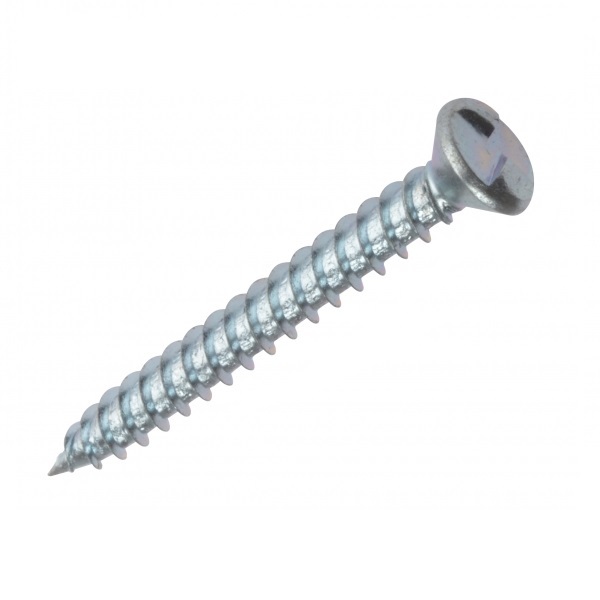 Our most popular screws are the Timberfix 360 woodscrews, a premium single thread screw at budget prices. We get great feedback from tradesmen about these because of how quick and easy they are to use – which is a big deal for tradesmen. 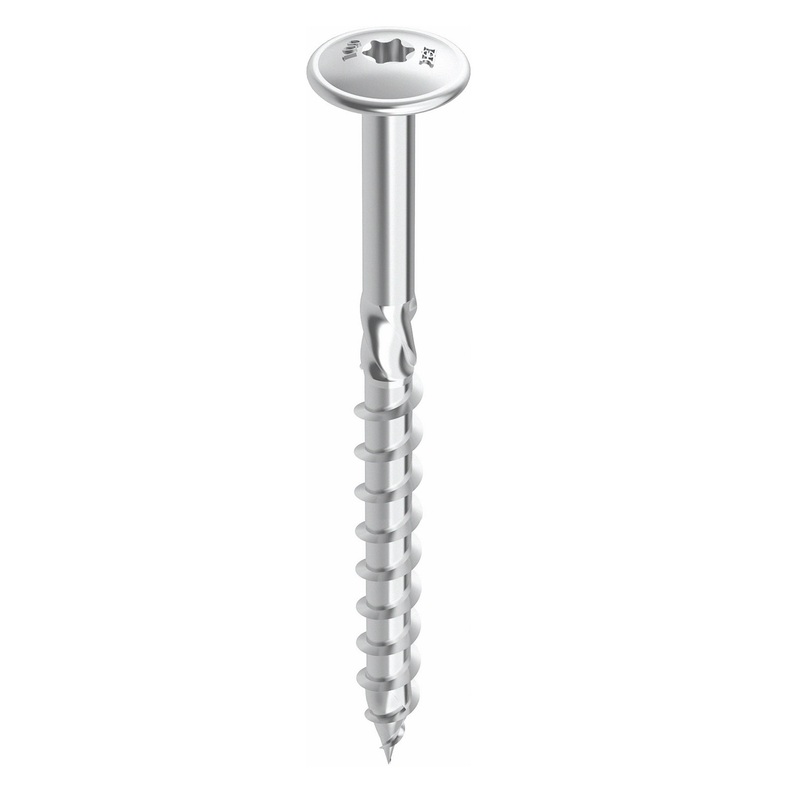 Another premium option for woodscrews are the TIMco C2 Classic Screws, a great alternative to the popular (but expensive!) 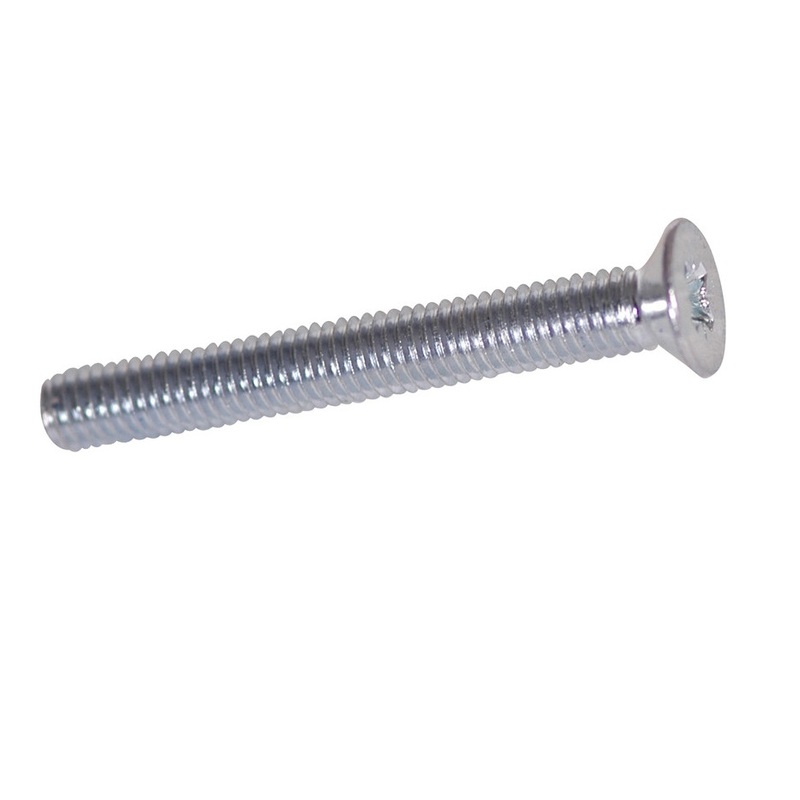 Reisser Cutter Screws. 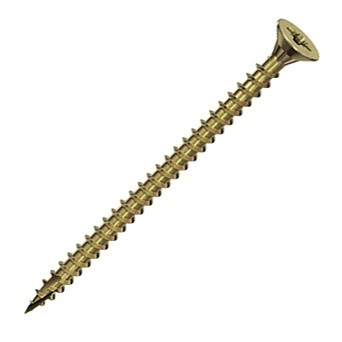 Moving on from woodscrews, another major category of screws is “decking and landscape screws”. 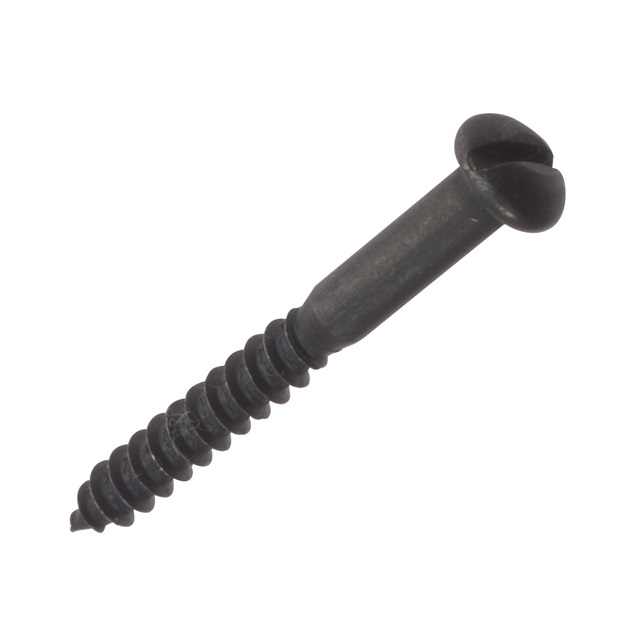 A very popular range amongst tradesmen and DIYers, decking screws need to be well-made and durable to ensure the decking can resist the everyday weathering of the United Kingdom. 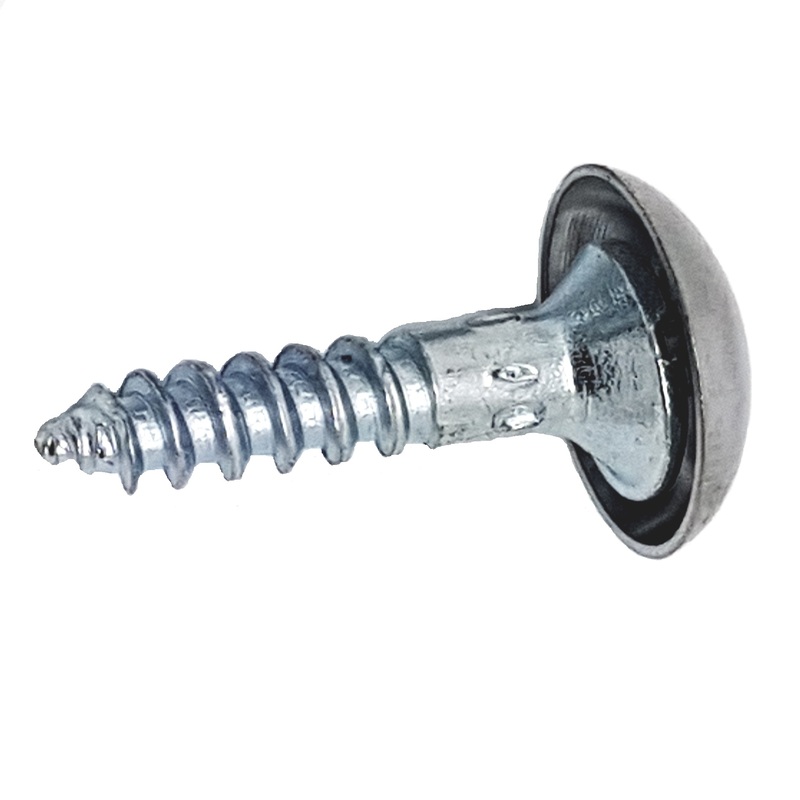 Probably the most widely respected and widely used, the Spax Wirox Decking Screw – 4.5 x 60mm features a “Wirox” coating that can withstand 10 times the corrosion, according to salt spray testing, than standard zinc and yellow coated screws. 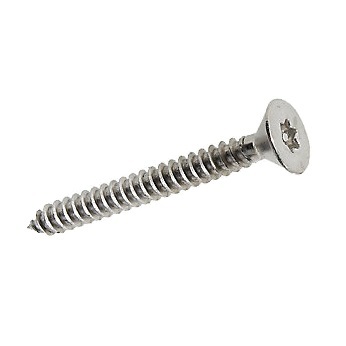 Most decking screws on the market are, ultimately, a normal 4.5mm thick woodscrew with green or brown corrosion resistant coating. 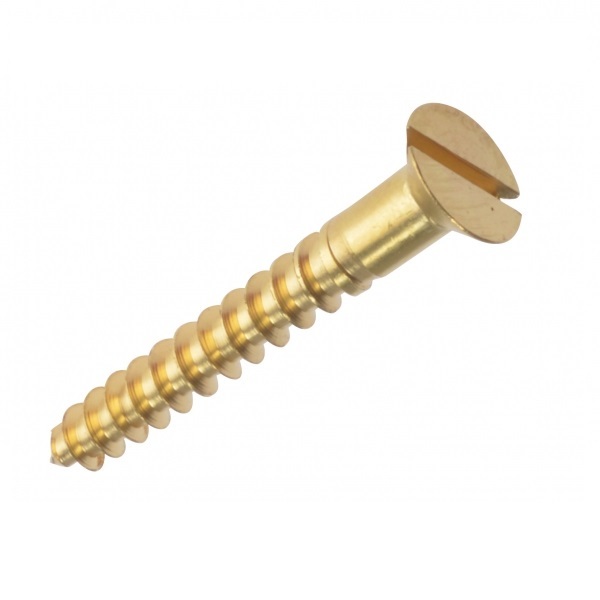 These screws are our most popular decking screws, offering a cheaper solution that provides adequate corrosion resistance and colour that looks good with most decking. 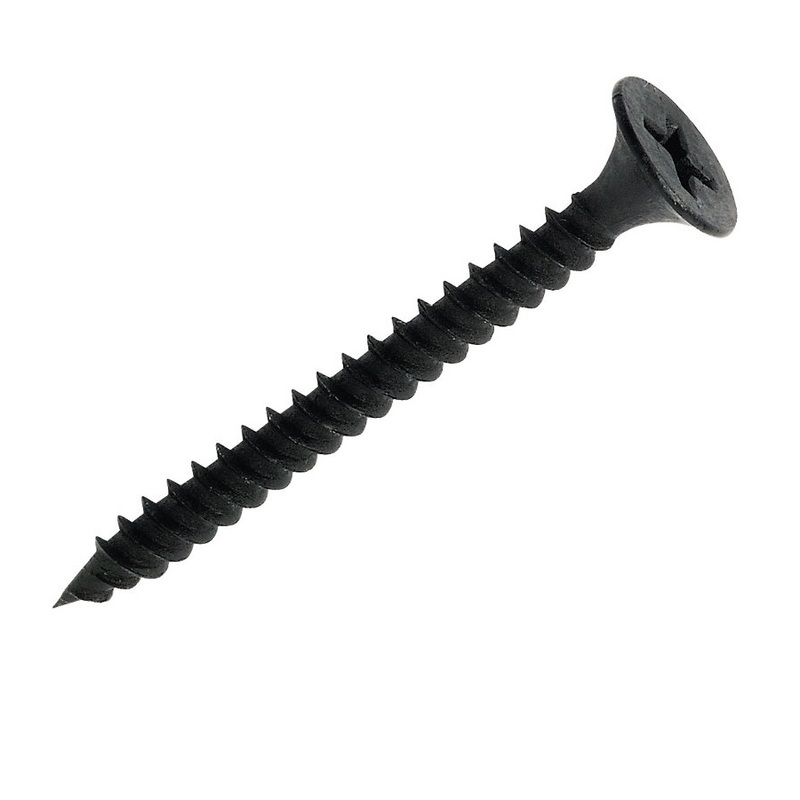 Our customers tend to favour the green decking screws, which are available in boxes or buckets depending on the quantity that is required. 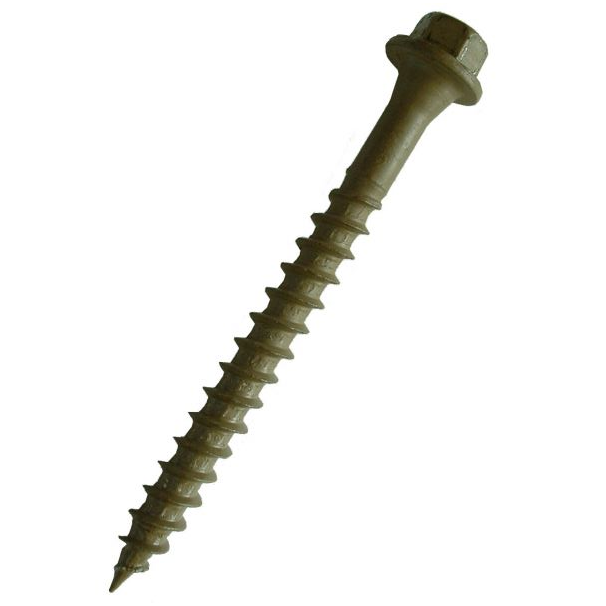 Landscape screws are similar to decking screws in that they are available in the same finishes as the decking screws (green, brown and stainless steel), but are supplied in much larger sizes as they are used for fixing larger pieces of timber together for decking, fencing, roofing and most commonly, landscaping applications. 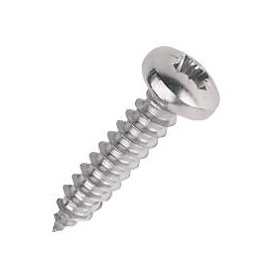 If you need a wide range of stainless steel screws then we’ve got you covered. We stock both drive types with pozi and torx with head type options of countersunk, round head and more. 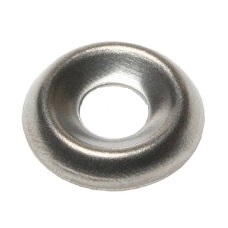 You will also find A2 grade and A4 grade stainless steel so if you are in extremely damp areas you need not worry! 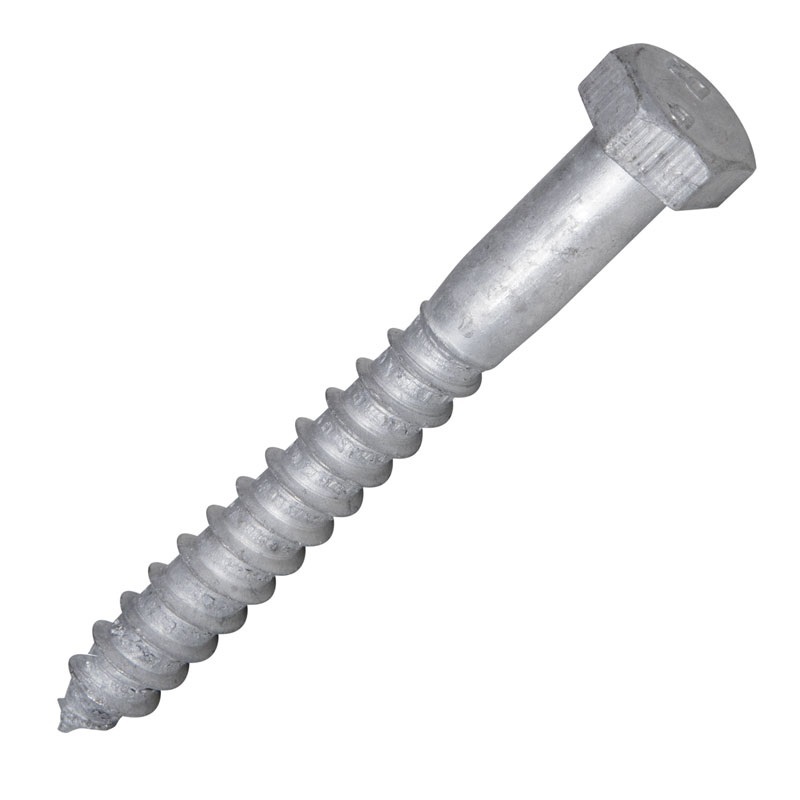 These are just a few of many popular types of screws that are on offer with us. You will find traditional fixings such as coach screws, self-tapping screws and black round head screws and then we have more modern fixings such as the TIMco Multi-Fix Concrete Frame Screw that screw straight into masonry, and without the need to use speed plugs or hammer fixings. 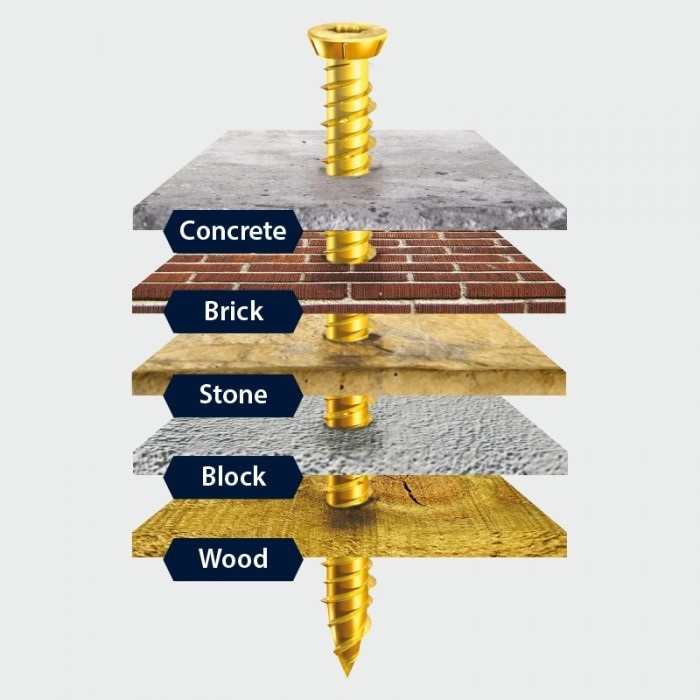 If you would like more guidance on which type of screw is best for you, then please call the sales team on 0161 794 1783 and we will be happy to help with any questions or problems you may have.